Armored vans are the perfect solution for high-risk situations in which the driver, passengers and cargo need to remain safe and protected at all times. From commercial bulletproof vans to armored security vehicles, The Armored Group, LLC specializes in the design and manufacture of customized vehicles for all sorts of hazardous and life-threatening environments. We offer new, used and refurbished models that provide safety and security when the occupants need them most. 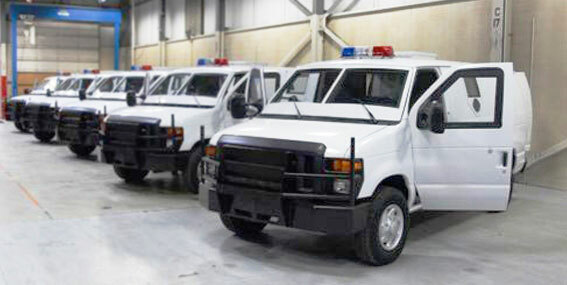 Commercial armored vans can save lives and help passengers complete dangerous missions in precarious environments. We customize models like the following for a variety of high-pressure jobs. All of the above vehicles are scrupulously tested to make sure they deliver high levels of versatility and resilience in the most precarious of situations. At The Armored Group, LLC, our state-of-the-art armored tactical vans can be fully customized to your exact specifications. This means that our team can modify specialized armored vans for various scenarios, including portable crime labs and mobile communication hubs. They can even be transformed into discreet vehicles resembling the common plumbing or cable TV vehicles you see in any neighborhood! 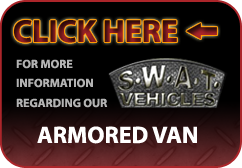 Since 1992, The Armored Group, LLC has lead the industry as one of the most trusted sources for commercial bulletproof vans and armored tactical vehicles. If you would like further details about our high-tech armored vans and SUVS, please contact us online or call 1-602-840-2271 today.